The person next door spends an average of $68 a month. door spends an average of $68 a month. On average, Delawareans are paying $1,519 every month on homeownership costs. There are half a million houses in the Diamond State, 70% of which are occupied by owners. In Delaware, the premium rate varies with the address, the assets and the size of the home. Even though Delaware is a small state, it is packed to capacity. The residents have to put up with hurricanes and northeasters. Such factors are important when considering home insurance premiums. Delaware’s home insurance premium rates are among the best protected in the United States. According to a study by Rutgers Centre for Risk and Responsibility, Delaware was ranked 5th of 10 states that protect homeowners from exploitation by insurance companies. The study showed that DE’s Consumer Services and Investigations Division protects homeowners from unfair penalties by insurance companies. We arrived at our best homeowners DE insurance companies through reviewing homeowners insurance reviews and customer satisfaction. A company must display financial strength in order to be deemed trustworthy to be able to pay claims when the time comes. First and foremost a company’s customer service rankings is looked at and also its financial stability. The various discounts rates and variety of coverage that customers can choose from are also considered. It's important to note that the companies below are popular companies and going with them is probably a safe bet. However, we cannot claim that these three companies will provide the best rates or even the best coverage for everyone, as premiums are calculated on a case by case basis. If you are a homeowner shopping around for a company to insure your home, the best way to save money is to compare rates from as many providers as possible and our top picks are a good place to start. It's also useful to research about potential companies to have a clear view if the company has the financial strength to pay claims in the untimely event that a disaster strikes your home and incurs serious and costly damages. With that said, here are our top homeowner insurance companies in Small Wonder. In Delaware, Nationwide performs well in regards to home insurance premiums. The company outshines their competitors in claims response. Nationwide controls the second largest percentage of the home insurance market share in Delaware at 13 percent. Consumers Advocate reports Nationwide to be one of the highest-rated insurance companies in regards to financial strength and has fewer complaints than other companies. JD Power rated Nationwide with a 3 (About average) out of 5 Power Circles for overall customer satisfaction in their 2018 U.S. Home Insurance Study. Nationwide offers a wide coverage policy although they do not offer flood insurance. The standard insurance policy does not include flood insurance. Delaware is not considered high-risk for flooding therefore homeowners are not required to purchase flood insurance but the state’s heavy rainfall increases the chance of flooding. Simply put, if Nationwide policyholders want to obtain flood insurance they will have to look elsewhere, which is a bit of an inconvenience. The company covers roof damages and even brand-new property. Delaware’s northeasters are windy and can be quite damaging. In cases of damaged roofs, Nationwide will cover the costs of materials that can withstand winds and heavy rainfall. In other words, their policy covers present and future damages. Nationwide provides discounts and online tools that increase efficiency. The company’s website provides a wide range of information on insurance terms and their quote tool can prove useful to homeowners shopping around. The quote tool features descriptions of the policies they offer. Clearly, Nationwide is reliable in service and information delivery. Amongst the five homeowners companies in Delaware that offer both roofing replacements and flood insurance cover, Allstate is considered an excellent choice. According to Information Insurance Institute (III), in 2017 Allstate wrote almost $8 billion in direct premiums and controls 8.4 percent of the home insurance market share in the U.S. The amount of direct premiums written shows the commitment of the institution to its customers. Allstate’s ratings are solid, with satisfactory customer service ratings from Consumer Reports. In 2017, JD Power gave Allstate a 3 (About average) Power Circle Rating. Another study known as Insurance Shopping Study ranked Allstate’s home insurance purchase as satisfactory. AM Best also ranked Allstate’s financial strength as A (Superior). Financial strength indicates the ability of an insurance company to compensate homeowners’ claims. The insurer has several educational tools for its customers through its website. An example is the Good Home Report which plays a Google Street video that gives tips on prevention and solution of potential risks. The online tool also guards against rampant claims. Allstate is a policy that will save you money. It is also among the few companies in Delaware that offer payouts for drain back ups and sump pump. The company also covers the extra costs of upgrading to an energy saving style for items. When it comes to homeowners insurance, Liberty Mutual provides 24/7 emergency coverage. In the event of a natural disaster, a homeowner can expect assistance throughout the day and night. That is to say Liberty Mutual is in a position to handle claims at any given time. Filing a claim is very easy with Liberty Mutual. Representatives, through their Real Time Review, use Skype or FaceTime to make observations on property and file a report immediately. The company also provides protection from inflation. The Home Protector Plus policy provided by the company pays for lodging expenses in case a homeowner needs a place to stay during repairs. Liberty Mutual gives a complete replacement of all belongings. In other words, the claims are not only thorough but generous. Due to their excellent customer service and quick claims response, AM Best gives Liberty Mutual a strong A (Excellent) financial rating. JD Power also gives a 3 (About average) out of 5 Power Circles Rating to Liberty’s overall customer satisfaction in their 2018 study. According to the Delaware Department of Insurance, Liberty Mutual has an affordable premium rate of $885 excluding the discounts. The exact premium rate will depend on the location of the home and its exposure to damaging factors. Homeowners insurance rates differ from one location to another. One fact however is that throughout the years insurance premium rates has been constantly rising. 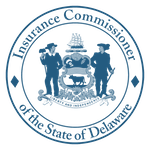 In 2015 (latest available data), Delaware’s home insurance premiums was ranked 46th by the National Association of Insurance Commissioners (NAIC) out of all 50 states. Delaware’s home insurance premiums is one of the lowest in the country making insuring your home in DE relatively affordable. The average home insurance premium in Delaware in 2015 (latest available data) was $780 dollars according to NAIC. The average national premium was $1,173. Comparing the two, home insurance premiums in Delaware is lower than the national average by a whooping $393. That’s quite a significant difference. Even though the rates have increased nationally, Delaware can still be considered one of the states still having low homeowners insurance premium rates. From 2011-2015, there was a significant change in the average home insurance rates in Delaware. The rate increased from $664 in 2011 to $780 in 2015. The data shows a 17.47 percent increase in a span of 5 years. Average home premiums vary widely across Delaware. In Wilmington, which lies in the north, the average premium is $750. Moving South to Georgetown and Dover, the premiums are $960 and $840 respectively. The implication is that as one moves closer to the coastline the prices rise steadily due to increased risks. For people living in the south, flood insurance may be a clever investment. A 2016 study by the III showed that 13 percent of homeowners in the north had flood insurance. The same study found that Delaware was a victim of Hurricanes Irene and Ivan. Truth is Delaware is not prone to floods. However, choosing a policy with added flood insurance is a wise decision for homeowners. That’s because a home will be covered for inland flooding and hurricanes, which can cause damages up to 50 miles away. If you're a homeowner in Delaware, getting your home insured is an option. Like other forms of insurance, this type of insurance protects you against certain types of events or structural issues that might cause damage to a home. Destructive events such as flooding and fires can cause structural damage to your home and leave you with thousands or even millions of dollars worth of damage (depending on incurred damages and the value of your home). Just as importantly, homeowners insurance also protect people who enter your property and sustain an injury while they are there. Life is sometimes a dangerous place full of unexpected circumstances. Not having homeowners insurance can be a disaster for you financially. The American homeowner pays an average of $1,173 in home insurance premiums per year. Fortunately, if you live in Delaware, you'll have a bit of a break on homeowners insurance costs. The average premium for Delaware is only $780, well below the national average. There are plenty of ways to save even with such low premiums. Saving on Delaware homeowners insurance is just as important as saving on auto insurance. It can add hundreds of dollars to your pocket that can be used for more worthwhile things instead, such as repairing your home or building on a new addition. Rather than over spending on homeowners insurance, consider a few of these simple tricks to save. Ready to save? Try a few of these well-known ways to save and watch your piggy bank grow just a little richer this year. If you buy homeowners insurance alongside your auto insurance, from the same company, you'll find that your premiums will go down in general, leaving you with some extra cash for things you want. If you have the money to pay a higher out of pocket deductible, you'll generally get a lower insurance rate and find yourself saving some money on homeowners insurance. It's the responsible thing to do if you can afford a higher deductible. Remember that the deductible is what you have to pay out of pocket before insurance kicks in, so if you don't have the out of pocket cash up front, this might not work out for you. Many people find it a chore to purchase any type of insurance and just want to go with a company that makes it sound simple. Even if the signup is easy, that doesn't mean you're maximizing savings. Compare at least a few different companies to ensure that you're getting the best deal. By following these few simple tips, you'll find yourself saving money on homeowners insurance. Remember that even if you don't have to buy homeowners insurance, you probably should. If flooding or fire comes, or if someone injures themselves in your property, you could lose thousands of dollars at once. To learn more about saving on homeowners insurance, read this article.